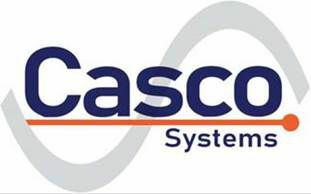 Casco Systems is an authorized GE Solution Provider. Our staff have extensive experience with GE software including CIMPLICITY & iFIX HMI, Historian, and WebSpace. From traditional HMI's to Industrial Internet of Things (IIOT), our team can deliver solutions to solve your most pressing process and machine control applications. Casco Systems is an authorized GE Solution Provider. We have a long track record working with GE hardware platforms including the Rx3i, VersaMax and many legacy systems such as the 90-30, 90-70 and Series 6 PLC products. Casco Systems is a Rockwell System Integrator and has demonstrated understanding and experience working with Rockwell Automation's products and technologies. Kepware provides a portfolio of software solutions to help businesses connect diverse automation devices and software applications and enable the Industrial Internet of Things. From plant floor to wellsite to windfarm, Kepware serves a wide range of customers in a variety of vertical markets including Manufacturing, Oil & Gas, Building Automation, Power & Utilities, and more. Casco Systems is a member of the Connected with KEPWare(r) System Integrator Program and proudly offers services to assist with planning, implementation and commissioning of connected systems. The Alliance Partner Network is a program of more than 1000 independent, third-party companies worldwide that provide engineers with complete solutions and high-quality products based on NI software and hardware platforms. Since the program's inception in the early '90s, NI Alliance Partners have evolved into a global network of companies that offer system integration services, add-on products to NI software and hardware, and turnkey solutions for companies spanning multiple industry and application areas. From products and systems to integration, consulting, and training services, Alliance Partners are uniquely equipped and skilled to help solve some of the toughest engineering challenges.